The IVF or IVF is a method that was developed to address couples whose primary Because of infertilidade is a lesion tubal, but can generate good results in cases of endometriosis, Sperm disorders and unexplained infertility. Studies indicate that the expectation of pregnancy after one treatment cycle ranges from 35% a 50 % even more 60% when transferred in young patients. During the procedure of IVF is made to remove that multiple eggs are fertilized ovary, laboratory, with the partner's sperm and embryo transfer. Treatment of In Vitro Fertilization has been effective in 35% a 50% mas can reach 60% or more depending on the age of the patient and / or embryo quality. 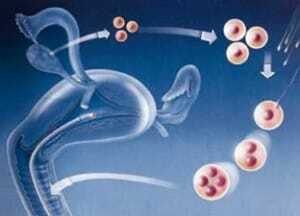 Below is the process of IVF full. The hormones are applied 8 a 14 days.Its function is to increase production of ova in the same menstrual cycle rather than just one. Generally some eggs do not meet a quality expected and therefore the IVF requires several eggs to increase the chances of pregnancy. Control ovulatory series – This process the doctor uses ultrasound or blood test to measure the growth of follicles, individualize the dose of drugs and to determine when the eggs are ready for removal. Eggs and sperm are together in the incubator. The eggs and sperm preparations are held together during several days in culture, favorecendo to fertilization spontaneously, The product of this union passed to be called embryo. Neste video or Dr. Raul Nakano explains treatment IVF. Got a question about,,pt,in vitro reproduction,,pt reprodução in vitro? between em contact, we will be glad to help you(the).